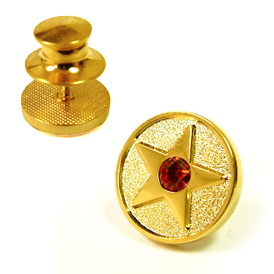 Gold Plated Star Pin with red rhinestone. This is a closeout item, limited quantities are available at this price. This pin comes with a deluxe clutch.